For thousands of years, people have relied on the miraculous healing powers of the aloe vera plant to cure what ails them. Used as both a soothing balm and a beauty treatment, skin cream derived from aloe vera is remarkable in that it’s so effective and fast-acting. Try as they might, modern scientists have yet to best nature when it comes to creating the perfect skin treatment. As such, it’s no surprise that aloe vera continues to be one of the most popular ways to treat acne and protect skin from the elements. 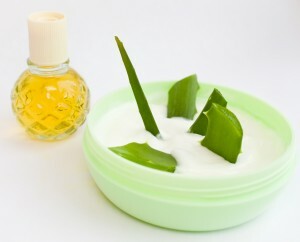 Continue reading to learn more about aloe vera cream for acne and how it can benefit your skin. The secret behind aloe vera’s numerous restorative properties and skin health benefits is complicated due to the molecular makeup of the plant itself. 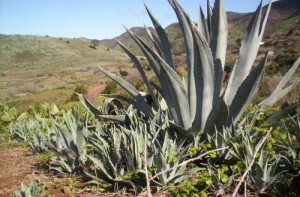 Aloe vera cream for acne is derived from the more than 300 varieties of aloe found around the world. On average, aloe vera cream for acne contains at least 70 key ingredients which repair acne-scarred skin and help to prevent outbreaks in the future. In a nutshell, aloe rejuvenates damaged skin and maintains overall skin health by giving it the nutrients it needs to stay vibrant. The benefits of aloe vera are most obvious when it’s used as a facial cream to touch up acne damage, remove blemishes, and reduce wrinkles. Aloe creams help the body build up collagen and elastin in the facial area. Proteins such as these are important contributing factors when it comes to maintaining a healthy and youthful-looking complexion. 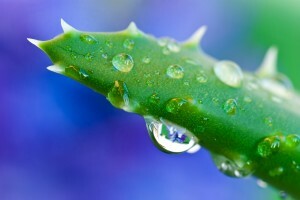 Aloe-based gels can also be used around the eyes to reduce crow’s feet. Lastly, aloe creams and gels can be used on the scalp to reduce dandruff and promote healthier hair. The overall effectiveness of aloe vera cream for acne has been proven time and time again by modern scientific studies. After all, it hasn’t become one of the most popular skin care treatments over the years by not working. It’s difficult to come up with a skin condition that aloe vera creams can’t be used to alleviate. It’s so effective, in fact, that regular aloe cream use can actually reduce acne scars and cut down on the amount of time that cuts and sores take to heal. Clearly, aloe vera is one of humanity’s most potent wonder drugs. While there’s no silver bullet for curing chronic skin conditions and maintaining clear skin, aloe vera is a solid step in the right direction. If your problem is skin-related, there’s a good chance a quality, all-purpose aloe vera cream can help. The only thing you have to worry about is finding a quality aloe vera acne cream to depend on. Fortunately, there’s no shortage of reputable aloe creams on the market that will do wonders for your skin over the long haul.